SEC orders 2-day suspension of sales of Oando shares – Royal Times of Nigeria. The Securities and Exchange Commission (SEC) on Wednesday, ordered a full suspension of the trading of shares of Oando Plc for two days. 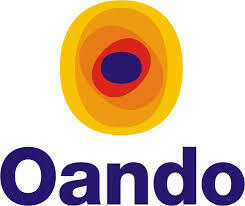 It could be recalled that over 100 Oando shareholders petitioned National Assembly, alleged corporate governance abuse. The commission also directed that effective from Friday, October 20, the Nigerian Stock Exchange should implement a technical suspension of the shares of the company. The Commission explained that it carried out a comprehensive review of the petitions – from Dahiru Mangal and Ansbury Incorporated – and discovered issues of breach of the provisions of the Investments & Securities Act 2007, breach of the SEC Code of Corporate Governance for Public Companies, suspected insider dealing, related party transactions not conducted at arm’s length, discrepancies in the shareholding structure of Oando Plc. among other discrepancies. The statement read, “The Commission’s primary role as apex regulator of the Nigerian Capital Market is to regulate the market and protect the investing public,”. “The Commission notes that the above findings are weighty and therefore needs to be further investigated. After due consideration, the Commission believes that it is necessary to conduct a forensic audit into the affairs of Oando Plc.